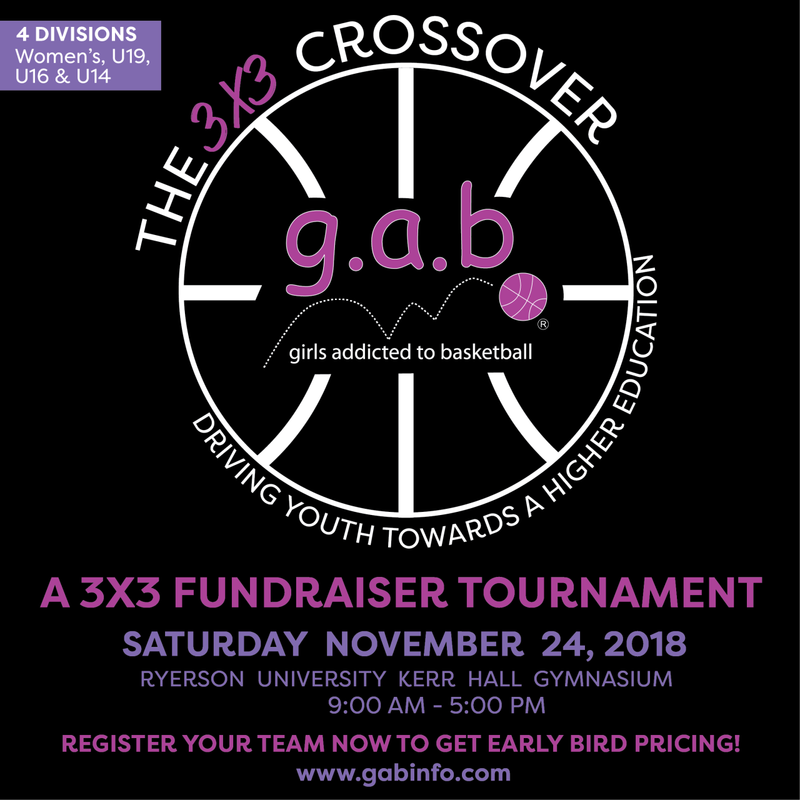 Thank you for pre-registering online for The 3x3 Crossover Tournament on Saturday, November 24, 2018. A confirmation email will be sent with waivers to each listed participant for a consenting adult to sign-off once we receive full payment from the captain. Pay with credit card or visa debit or PayPal by selecting the gray button "BUY NOW" below. Please note that you do not need a PayPal account to complete your payment. Just click on "Pay with Credit Card or Visa Debit" when you are directed to the PayPal page, which is below the blue 'Log In' button. Price will be adjusted on the checkout page should you have a coupon code. 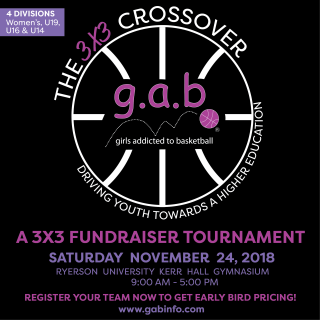 Email transfers for U14, U16 & U19 ($130.00) or Women's +19 ($160) are to be sent to ​gabinfo@gmail.com with the team name as the question and the captain's first name as the password.